NOAA View is a new project from the National Oceanic and Atmospheric Administration. On NOAA View you can explore visualizations of data sets in the categories of Ocean, Land, Atmosphere, Cryosphere, and Climate. Each category has multiple subsets of data from which to choose. The data sets can be displayed in weekly, monthly, and yearly units. A basic explanation of each data set is available. 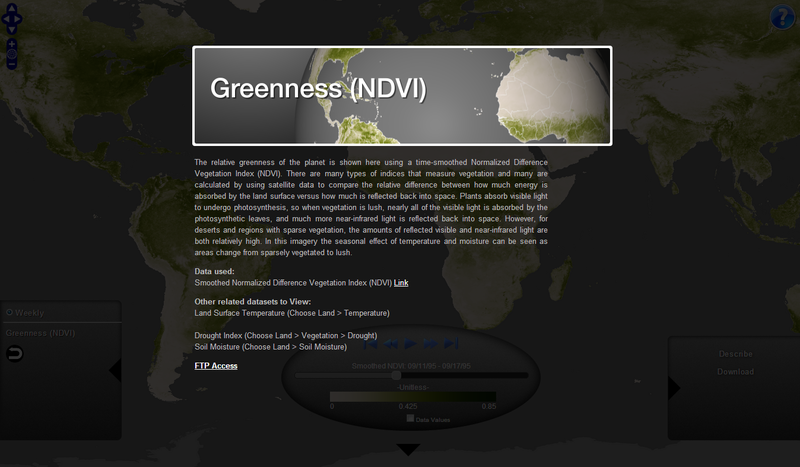 NOAA View could be a good resource for students to consult during a study of climate change. Students can see historical patterns of data then attempt to make their own predictions for future patterns. The video below offers an overview of NOAA View's features.